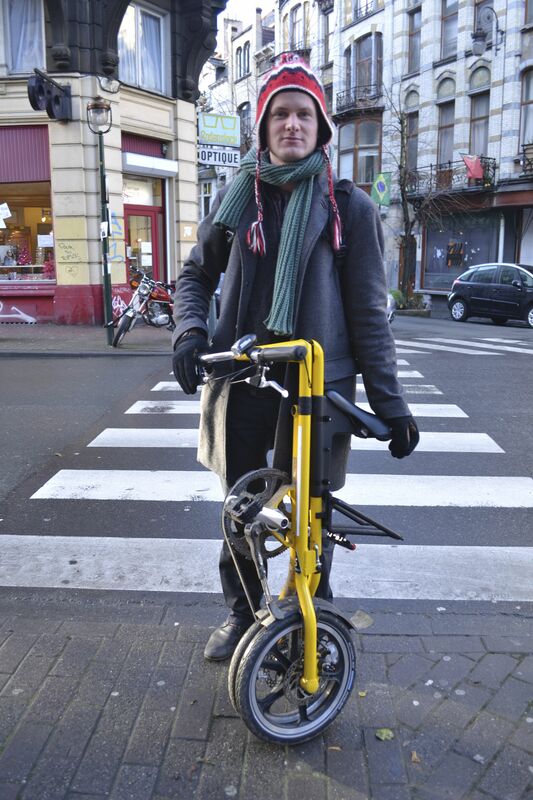 ©Barry Sandland/TIMB – When I spotted this bike,, it was folded and being walked across the pedestrian crossing. I have always been fascinated by them. They seem to unfold in such speed, and then disappear alongside the owner. 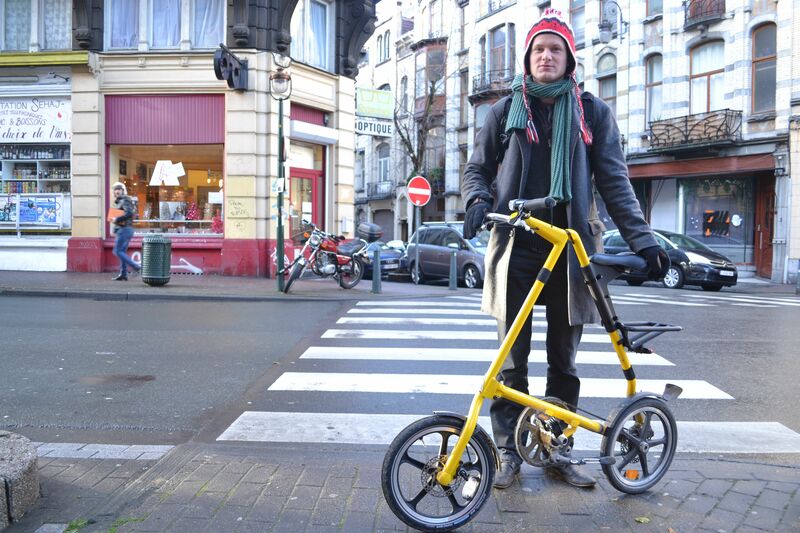 A three part collection, with images, of the A-frame, Strida, foldable bike that I saw in Brussels the other week. Photographer’s notes: These are clever bikes. A simple geometry, the A-frame, and a classic in so much design. As a bike, it is so unusual. Foldable bikes all seem to have followed the Brompton idea of folding frame, but this one has full tube, held in place with a socket joint style bolt. ©Barry Sandland/TIMB – The A-frame folds into its portable version in seconds. ©Barry Sandland/TIMB: From open to closed and onto his shoulder, mere seconds. This is one of those bikes that make designers turn heads and wonder if it could be that simple – and why they did not think of it before. 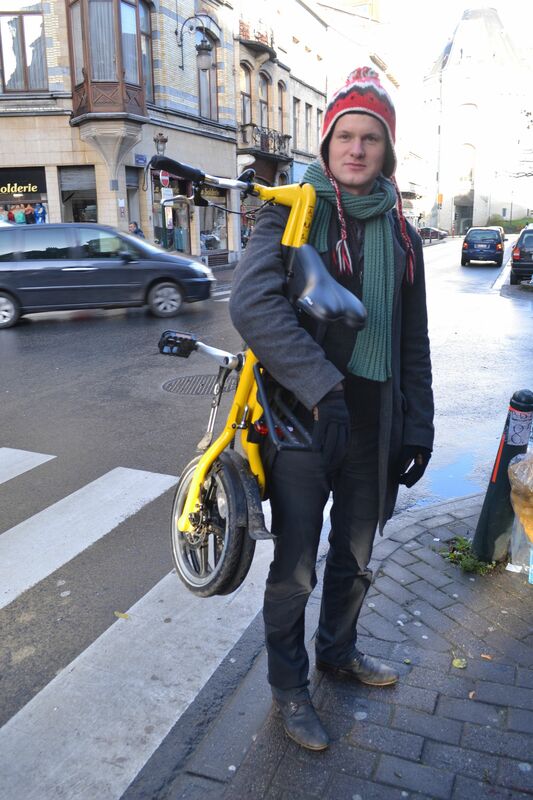 This entry was posted in Europe, foldable and tagged 2014, Aframebike, December, stridabikes. Bookmark the permalink.